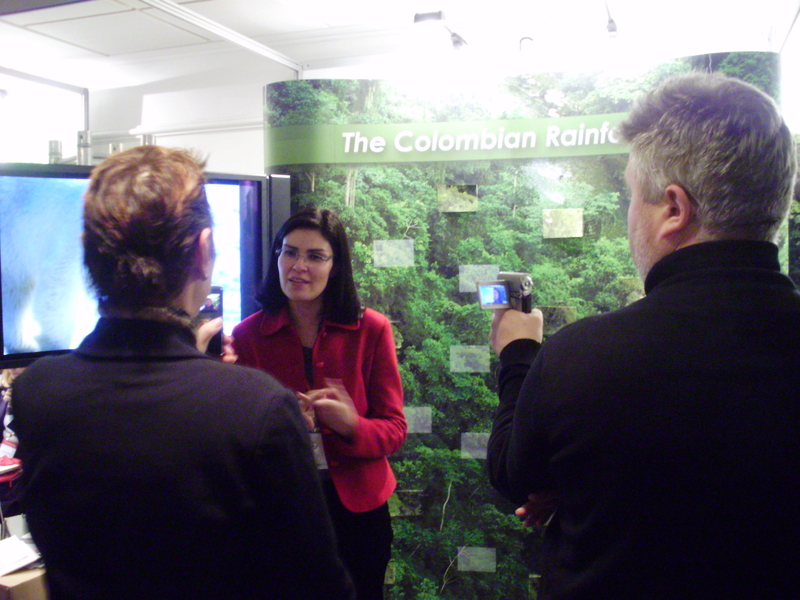 It has been a big challenge to create an attractive presence for the Colombian government during the world forest conference, Forest Day is the annual meeting of organizations and governments to o discuss projects and issues related to forests. The Colombian forest has been the setting for a drug industry battlefield for years. The growing market for drug consumption in Europe and the United States encouraged by media and lifestyle, provokes a huge damage in third world countries where production is made at a very low costs. Authorities do as much as they can but the market is very demanding and poverty drives local broke farmers into growing illegal crops to support their families. For years, Colombia has been fighting drug production but consumption is not controlled in the big economies. In general terms, Colombian institutions an people fight between survival and preservation with minimal resources. Our job was to make visitors understand how badly Colombia needs the support of the international community to fight drug production and ,at the same time, preserve the rainforest, currently a 35% of Colombia’s territory. So after receiving the commission from the vice minister, we started exploring options to communicate in a simple, fast an effective way. We chose to combine facts and information with a game. In a 2.5 * 2.0 mts panel we placed a very big picture of the forest. 20 randomly located rectangles would suggest the missing areas of deforested land. 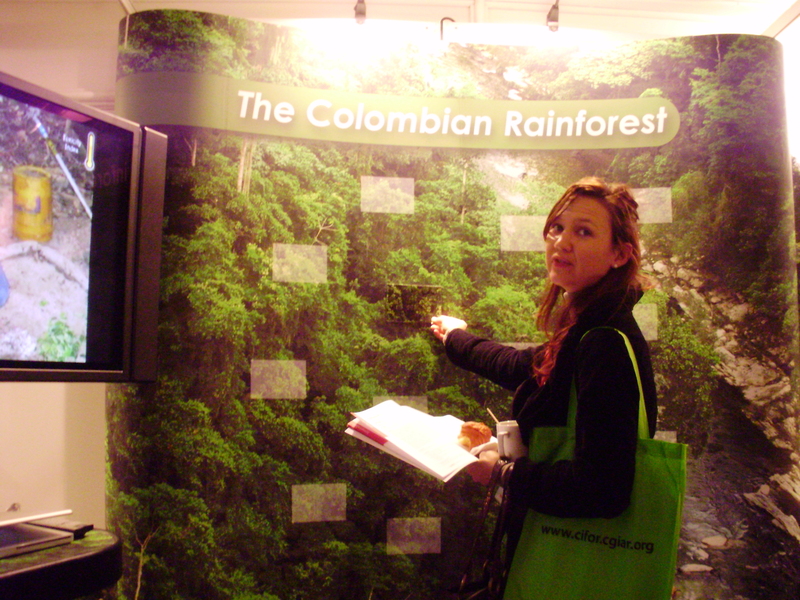 550 postcards with the phrase “Colombia celebrates Forest Day. 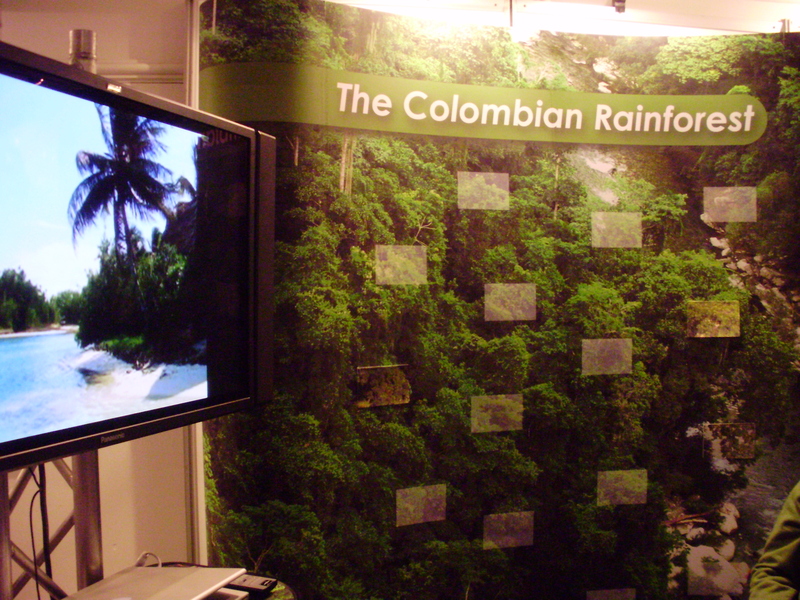 Support our efforts and help preserve our rainforest.” where given to visitors during the event, 50 of them contained the missing parts of the big image so their participation would help us complete the panel ad metaphorically recover the rainforest. Each visitor with a postcard was encouraged to try and fill a gap in the panel, as most images wouldn´t match they would understand how hard it is to recover a damaged land. When a postcard fitted in a damaged area, the visitor would fill that gap himself and fell the recognition and satisfaction of collaborating with a good cause. 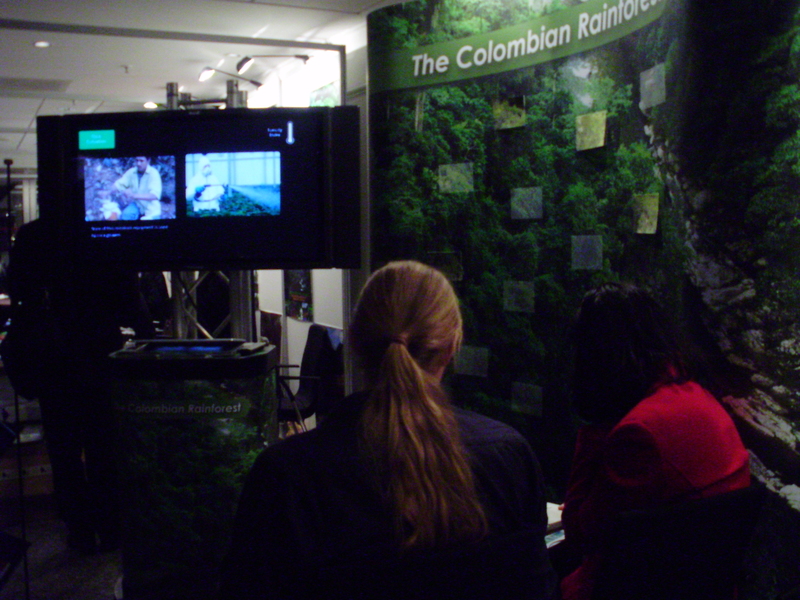 In front of the panel we created a mini theater where a 42” flat screen TV featured “Ecocide” a video developed by the Ministry of Defense that provides all statistical information about the damage that illicit crops cause to rain forests, families and communities across the country. visitors to the stand were invited sit and watch while waiting for the game or after playing it. The concept, dynamics and experience for this stand was conceived midway between playful, educational and political; introducing a critical topic as drug traffic and consumption in an environmental context but providing a playful way to understand it, to avoid prejudice and to prevent visitors to jump to conclusions when they see this topic featured. The general acceptance and participation from visitors, media and organizations was pretty high, the stand got the attention of people like CIFOR, Google, Le Monde , Associated Press, GTZ Deutsche Gesellschaft für Technische Zusammenarbeit , local organizations, researchers and bloggers on environmental issues with whom interviews where arranged during the event. The impact of a good stand design, a controversial topic and a visual game provided a positive results for our client creating collaboration opportunities and favorable press.